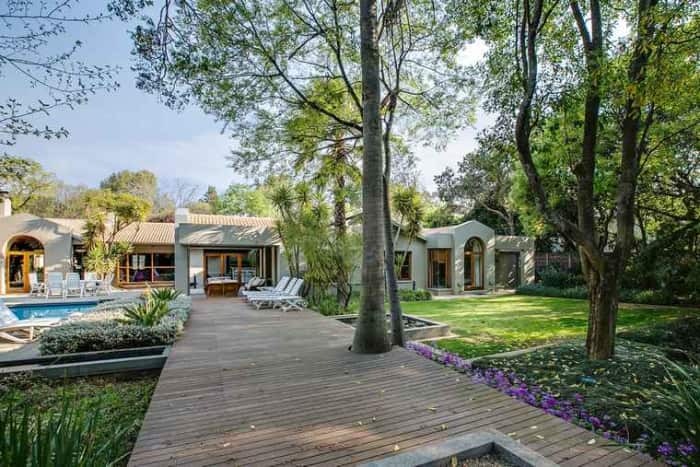 On the market for the very first time through Pam Golding Properties for R12,5 million, this immaculate, contemporary home is situated in a prime position in a secluded gated enclave in Atholl. Dotted with some of Johannesburg’s most sought-after private schools and situated just a stone’s throw away from Sandton, the Inanda, Illovo and Atholl areas seamlessly blend old-world charm with a mix of contemporary chic. Here sprawling old Johannesburg residential properties intermingle with newer, more modern, sectional title developments and apartments. Rupert Finnemore, Pam Golding Properties Gauteng regional head, says while the region is one of Johannesburg’s older, more established residential areas, it is also fast becoming the location of choice for young up-and- coming professionals and families. This, he says, is in large part due to its highly central location. “Inanda, Atholl and Illovo are situated directly between the Sandton and Rosebank Gautrain stations, and because these areas are within close proximity to Sandton, they provide a convenient base for professionals who are increasingly cognisant of the time and cost involved in long-haul commuting, as well as families who are looking for a discerning lifestyle with the convenience of easy access to top schools, as well as shopping and entertainment amenities”. 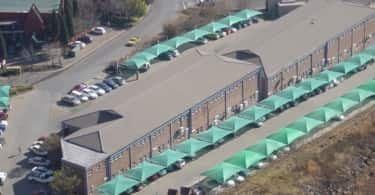 “Home to a multi-cultural and eclectic mix of young and older residents, these suburbs also provide easy access to a number of religious places of worship, which play an important part in the lives of many of our residents. The same is true of the prestigious Inanda and Wanderers sports clubs, both of which are situated in close vicinity, and comprise diverse inter-generational memberships,” he says. Lynne Baker, Pam Golding area specialist of the Illovo, Inanda and Atholl region, believes that the continued popularity of these thriving suburbs can, to a large degree, be attributed to the fact that they together offer something for everyone. “A big draw card when it comes to buying in this area is that it offers a range of possible property options to suit every pocket and taste, from apartments and townhouses to large luxury freehold properties. There are also a number of impressive estates”. “One of the key aspects which is evident across all of these suburbs, is the strong sense of community that exists within them and they are all well run and maintained by local authorities. All have strong home owners associations and great pains have been taken with their security, including the installation of hi-tech security cameras on key intersections,” says Baker. The mix of age groups living in these suburbs is reflected in the most recent area report released by residential property research company, Lightstone, which indicates a relatively even spread across age groups among recent buyers in the Inanda area, whereas many of the recent sellers here have tended to fall into the 65 or older age group. Finnemore says that this indicates that the latter have reached a stage of life in which they are looking to downscale to a more compact and easily manageable property. With a higher density of sectional title apartment developments, all within easy reach of the trendy restaurants and shops that abound in the area, the suburb of Illovo, not surprisingly, has a younger demographic that is largely responsible for most of the market movement in this area. 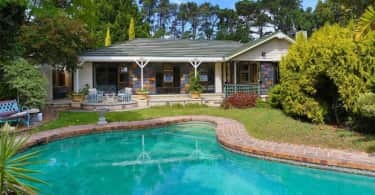 “With 45% of the recent buyers ranging in age from 36 to 49 years and recent sellers mostly falling into the pensioner category, Atholl is very likely to experience an upcoming resurgence as the older generations give way to their younger counterparts looking to settle down in leafy suburbia with their growing families,” notes Finnemore. “Most residents within the Illovo, Inanda and Atholl areas tend to stay here long-term with many starting out as property owners of an apartment in one of the many residential blocks in the area, before moving on to larger homes after starting a family, and then again down scaling to a more compact townhouse or apartment during their more mature years when their children leave home and they become ‘empty nesters”’. “This is one of those areas where you always bump into somebody you know whether it be from school, the sports club or your place or worship, with many of the families having deeply entrenched ties that go back decades,” adds Baker. Spanning a total of 1 700 residential properties across all three suburbs, the average freehold property in the Atholl area is valued at more than R6.7 million, while the average property is valued at some R8 million in Inanda and R8.3 million in Illovo. A one-bedroom apartment in Illovo may be acquired from R1.3 million. “These suburbs not only offer easy access to Sandton and Rosebank, but are in close proximity to major roads such as Katherine Street and Corlett Drive, which conveniently takes one directly to the M1 highway. In terms of amenities, residents have access to any number of world-class services and top shopping, dining and entertainment facilities, including the recently upgraded Blubird shopping centre, and the popular Atholl Square, which has a young, vibrant feel to it”. “Thrupps, which is situated in Illovo, is something of an institution in the area, where many residents have called in for many decades to order their groceries. The large number of outstanding schools situated in the area, which include the likes of St David’s, Kingsmead College, St Theresa’s, Pridwin and Crawford Sandton, is another factor that contributes to making these suburbs highly desirable”. Given its superb location, the residential property market in the Illovo region will no doubt continue to make it highly sought after. “However, sellers should keep in mind that we are in broad terms in a buyer’s market in which investors are showing considerable care before investing in a property”. “This means that residential properties need to be appropriately priced if they are to be sold in good time. A trusted property agent with excellent local knowledge and experience will be able to assist in providing the necessary guidance in this regard,” concludes Baker.